"It’s believed to be the largest insurance award ever given to a legal marijuana business. Industry insiders also see the event as another indicator of how rapidly the legal cannabis industry has matured, and how much corporate America’s “take” on cannabis companies has changed. Last month the Santa Barbara Independent reported that a Southern California cannabis cultivator received a payout of well over $1 million from an unnamed insurance carrier in Great Britain, for crop damages that the grower suffered during the massive Thomas Fire this past December and January. Matt Porter, a vice president at Cannabis Insurance Professionals, a division of Brown & Brown Insurance and one of the largest insurance intermediaries in the world, helped to put together the policy that paid the claim. He tells The Cannabist that the policy’s language evolved from other agricultural businesses but was focused on some of the risks found specifically in the cannabis industry. “This policy contained some wording related to what we consider atmospheric change, or contaminants coming into the greenhouse,” he said. And that wording was fortunate, according to Porter, when ash from the Thomas Fire began “falling like snow” and seeping into his client’s cannabis greenhouses, contaminating the plants inside with toxic chemicals. The insurance coverage was not cheap for the affected cultivator, a company that Porter declined to name: with a $30,000 premium and $25,000 deductable. The payout was so large and unprecedented, however, that the London-based insurer has decided to limit its work with the legal cannabis industry. “If there’s going to be coverage like this going forward it’s going to be significantly more expensive,” said Porter. But he and other cannabis industry insurers believe the payout is an indication of positive changes within the insurance industry regarding legal cannabis firms. McManamon has been working with legal cannabis businesses since 2009, and said it’s far less difficult now for those companies to get insurance. Which is not to say the big-name insurance companies are at all ready to talk to pot businesses. “We’re still many, many years away from that,” said McManamon, who pointed to current federal laws and prohibitions on cannabis. But McManamon said there’s a positive shift in how mainstream insurance companies view cannabis businesses and that the cannabis industry is “definitely more on people’s radars” as insurers look for more growth opportunities, particularly as more states legalize medical and recreational cannabis. 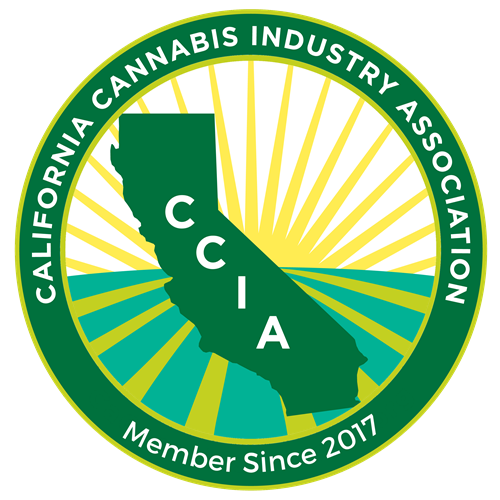 Brown & Brown’s Matt Porter also points to how cannabis legal states like California have imposed rules and regulations on cannabis firms, which combined with the maturation of cannabis insurance companies has helped to calm down the big insurance carriers and remove the outlaw stigma still surrounding cannabis. “We know what we’re writing; we understand what we’re insuring,” he said. “You’ve got state permits; you’ve got track-and-trace. You’ve got all these things in place to where, on our side of the business, there are now procedures and parameters around controlling this product. So it’s actually an insurable risk. They’re going to start developing actuarial tables and…claims projections and it will become just like standard insurance.”"